In July, the Opening of Dongguan Shinchen Engineering Co.,Ltd. In April, Shini USA (Technical & Logistic Center) started to run officially. In January, Shini India, the new plant was put into operation. In September, Establishment of Shini-Syncro Extrusion Process Control (Taiwan), Inc.. In May, Shini took part in Chinaplas and successfully launched new brand image. In April, Shini Germany GmbH was established. In March, Shinno Engineering Co.,Ltd. was established. In January, Shini moved toward international brand with completion of rebranding. In December, Shini Plastics Technologies India Pvt. Ltd. obtained ISO 9001:2008 Certificate. In October, Shini participated in Canton Fair for the first time. In October, Shini made its debut in 2011 FUKUMA exhibition. In May, cooperation between Shini and Dongguan Science & Technology School was inaugurated. In May, Shini made an agreement on the investment plan with Chongqing gevernment to build West China Shini. In May, Shini enjoyed a successful exhibition in 25th Chinaplas 2011. In May, Shini succeeded in launching IML system for injection molding machine. In April, Shini Dongguan established Precision Assembly Supply Center. In March, Office Automation system made Go-live in Shini Dongguan, to achieve a paperless office procedure. In December, Lotus Notes e-mail made the go-live and started using. In November, Shini revamped Website for Go-live. In September, Establishment of Shini-Syncro Extrusion Process Control (Dongguan), Inc.. In August, Corporate Product & Marketing Center was renamed Corportate Technology Center. In July, Shini Plastics Technologies (Ningbo). Inc. was transformed to Cast Products Manufacture and was put into operation. In April, the 41th Anniversary Celebration and the Inauguration of Pinghu New Plant were observed in Shini Plastics Technologies (Pinghu), Inc.. In April, Shini group completed the Process Building and put it into use. In April, Shini inaugurated new plant of Automation Business and Litchi Garden was completed. In March, Water Chillers with environmental refrigerant was put into production. In March, Shini Plastics Technologies, Inc. obtained the CE Certificate of European Union. In March, one of the largest manufacture bases of plastics auxiliary equipments was put into production in Pinghu factory. In February, Go-live of ERP system was launched in Shini Plastics Technologies (Pinghu). Inc.. In January, Go-live of ERP system was launched both in Shini Plastics Technologies (Dongguan), Inc. and Taipei Headquarter. In January, Shini Pinghu finished its relocation. In December, the warehouse building of finished machines in Taipei was put into operation. In September, Shini Ningbo has been identified as high-tech enterprise. In September, Valve Body Business Department was renamed Pneumatic Conveying Business Department. 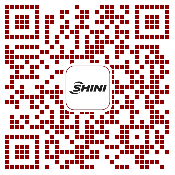 In September, Shini issued the first internal publication "View of Shini". In July, Shini Plastics Technologies (India) Private limited was officially put into operation. In June, Shini Dongguan held the 40th Anniversary Celebration. In June, Hot Runner System Business Department was established in Shini Plastics Technologies (Dongguan), Inc. In May, the composition of Song of Shini was finished. In January, Shini group successfully made lead-in of SAP. In December, Shini Plastics Technologies (Dongguan), Inc. certified High-tech enterprise by Guangdong government. In August, Shini Plastics Technologies (Dongguan), Inc. began to produce High Pressure Pump, Evaporator, Condenser and Solenoid Valve. In August, Shini Plastics Technologies (Dongguan), Inc. established Automation Business Department. In February, Shini Plastics Technologies (Dongguan), Inc. was titled as "Guangdong Notable Brand". Shini established Branch Company in EUROPE. Shini established Branch Company in BRAZIL. Shini group made go-live of eLearning and started using. In November, Shini Pinghu held "break ground" ceremony. In September, Shini Plastics Technologies, Inc. participated into German K-show for the second time. In February, Shini Plastics Technologies (Dongguan), Inc. established Valve Body Business Department. In January, Shini Plastics Technologies (Dongguan), Inc. established "Sheet Metal Branch". All series products obtained CE Certificate. Shini established Branch Company in USA. In December, Shini Plastics Technologies (Dongguan), Inc. had finished building for Sheet Metal Department. In June, Shini Plastics Technologies, Inc. participated into American NPE exhibition for the second time. In May, Shini Plastics Technologies (Dongguan), Inc. finished warehouse for finished machines. In April, Taizhong Branch Company moved to No. 40, Taizhong Ind. Zone, Taizhong City. In January, Shini Taibei was renamed "Shini Plastics Technologies, Inc."
Shini Plastics Technologies (Dongguan), Inc. began to produce SMS series. Shini established Branch Company in INDIA. Shini established Branch Company in CANADA. Shini established Branch Company in JAPAN. In May, Shini Plastics Technologies (Ningbo), Inc. finished the assembly building for use. Shini Plastics Technologies (Taipei), Inc. passed ISO-9001. "Corporate Strategic Center (Product & Marketing)" was established in Shini Plastics Technologies (Dongguan), Inc..
Shini Plastics Technologies (Dongguan), Inc. began to produce SDD, SMD, SCR, SGB, SDS and SSC series. Shini Plastics Technologies (Ningbo), Inc. began to produce "Belt Conveyors". In September, Shini Plastics Technologies, Inc. participated into German K-Show for the first time. In June, Shini Plastics Technologies (Dongguan), Inc. moved to Jinshagang Ind. Zone, Shixia Village, Dalang Town, Dongguan City, at the same time, Shini held 35th Anniversary Celebration. In June, Shini Plastics Technologies, Inc. participated into American Exhibition NPE for the first time. Shini Plastics Technologies (Dongguan), Inc. began to produce SVM series. Investing to establish "Shinde Precision Casting Co., Ltd."
Shini group took part in Italy MilanPlast Show. Shini group took part in Egypt PLASTEX Show. In October, Shini Plastics Technologies (Taipei) Inc. was moved to Minhe Street, Shulin City, Taipei. Shini Plastics Technologies (Dongguan), Inc. began to produce SCM series. Shini group took part in Japan IPF Show. In March, Shini Plastics Technologies (Ningbo), Inc. was established in Xiexi Ind. Zone, Daxie Developing District, Ningbo City, Zhejiang Province. Due to the global economy recession, the economical increasing rate was declined for the first time after 26 years; Shini's turnover was declined by 8%. Shini Plastics Technologies (Dongguan), Inc. began to produce SIC and SCD series. Sales volume in mainland exceeded that of in Taiwan. Shini Plastics Technologies (Dongguan), Inc. passed ISO-9001 Certificate. Shini plastics Technologies (Dongguan), Inc. began to produce CD and SG series. In April, Taizhong Branch of Shini was established in Daya Township, Taizhong County. Sheet Metal Working Dept. was established in Shini Plastics Technologies (Dongguan), Inc..
Computer industry was flying and being developed in Taiwan. Shini Plastics Technologies (Taipei), Inc. began to produce SD-H series. Shini Plastics Technologies (Dongguan), Inc. began to produce SD series. Shini Dongguan expanded the second plant. Shini began to produce High Pressure Blower. In March, South Taiwan branch was established in Sinshi Township, Tainan County. Shini Taiwan expanded the second plant. Shini Plastics Technologies (Dongguan), Inc. began to produce SAL and STM series. In May, Shini Plastics Technologies (Dongguan), Inc. was established in Jinshadun Ind. Zone, Shuikou County, Dalang Town, Dongguan City, China. Its major products include electric heater bands, electric heating tube and SHD series. Shini Taiwan started to produce SD series. In June, Shin I Electrical Work Shop was moved to Min-an Rd, Sinjhuang City, Taipei County, Taiwan, and was renamed "Shini Electric Heaters co., Ltd". Shini Heating Corporation started to produce STM series. Entered into the line of Auxiliary Equipments for Plastics Machinery, Shini began to produce SHD series. In June, Shin I Electrical Work Shop, which was the predecessor of Shini group, was established in Lane Rd, Sinjhuang City, Taipei County, Taiwan. Its major products include electric heater bands, electric heating tube, motor service and design plus assembly for electric control box.